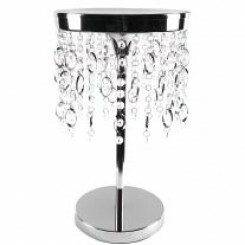 Chrome pedestal with hanging acrylic crystals. Sparkly and modern decor accent perfect for weddings. Often used for guests tables as a centerpiece. 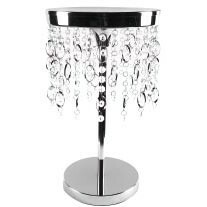 Top pedestal ideal for medium or large flower arrangements.